DPUK Canterbury Seminar 2016 Videos. 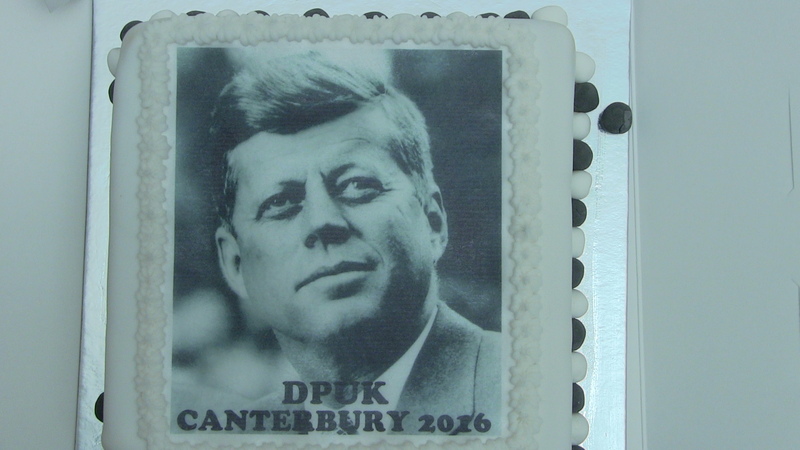 DPUK Canterbury Seminar 2016 cake. Here are the videos of the Dealey Plaza UK Canterbury 2016 Talks. I have kept my 2 hour talk offline, as in about a month there will be a set of movies that will be very similar to this talk, you will have to do with my moderated talk with Malcolm Blunt. This interview will also be screened at next week’s LoneGunmanPodcast where I will be talking about the Dealey Plaza UK seminar and a few bits about Prayer Man and the up and coming movies. Alaric Rosman – Confusion Over The Rifle. Larry Hancock – National Security Response on Nov . 22nd v Other Major Events. Paul Brown – Fingerprints Of Intelligence Part 2. Barry Keane – Address in Memory of JFK. Malcolm Blunt Q&A with Bart Kamp. Greg Parker – Lee Harvey Oswald’s Cold War. Jean Shields – Friends & Family.